When Seth Munson’s Grandpa dies, he finds himself at home for the summer. Despite wanting to waste his days wallowing in self-pity, Seth takes a student named Cody under his wing to impress his ex-girlfriend, Olivia. He eventually realizes that he doesn’t have the kind of influence with his friends that he once had. 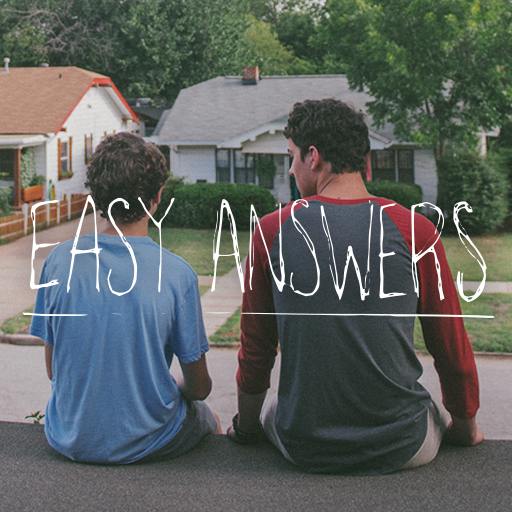 Now, Seth’s looking for the Easy Answers to get his life back on track. In week one of this series, students will begin to identify what God may be calling them to do, and you'll encourage them to step into that calling. In week two, students will choose whether they want to set an example for others or follow the examples of others. In week three, students will be challenged to walk the talk. It’s not enough to just say they’re Christians. You'll challenge them to stand firm in what they believe and to live out their beliefs in their daily lives. In the last week, students will ask themselves what kind of influence they have in the lives of those around them—encourage them to get involved in other people’s lives if they really want to have an impact. This series is in a narrative story format. You will follow each of these story pieces with a message wrap-up. In your wrap-up, the goal will be to bridge the gap from the story on-screen to a practical and spiritual application for the students’ lives. Unpack everything that happened in the video to help illustrate the practical and spiritual takeaways for your students.